There are so many reasons for businesses to utilise the incredible benefits of WiFi. These are not just the obvious information technology businesses that require Wi-Fi and internet to function on a daily basis. I am in fact referring to businesses such as holiday parks and other less obvious industries. Having a strong Wi-Fi connection at your holiday park for guests to use during their stay could be the thing that turns a potential customer into an actual customer, subsequently bringing you revenue. Here we will look further into what Wi-Fi can do you for you and your business. Given how quickly today’s technology advances it can be considered quite primitive to not have a WiFi connection. This applies to almost every business; a WiFi connection can set you apart from the competition. These days there isn’t a pub, restaurant, or hotel that doesn’t have a WiFi connection. In fact, it can be quite derogatory to not have one. This can be the same in holiday parks and other businesses of a similar nature. Large open spaces found at holiday parks can seem daunting where WiFi installation is concerned. However, the team at HB Digital are more than equipped to deal with this. Today, almost every single person is carrying a smartphone, tablet, or laptop that they will take with them everywhere they go. We use these devices to conveniently stream films or to quickly communicate with our loved ones. That makes them the perfect accompaniment to any holiday or trip away from home. It is no surprise that anyone using these devices would be incredibly appreciative of a strong WiFi connection to save them spending their data allowance. Not everyone has unlimited data, but it is a guarantee that someone with a smartphone or tablet will want to use it. 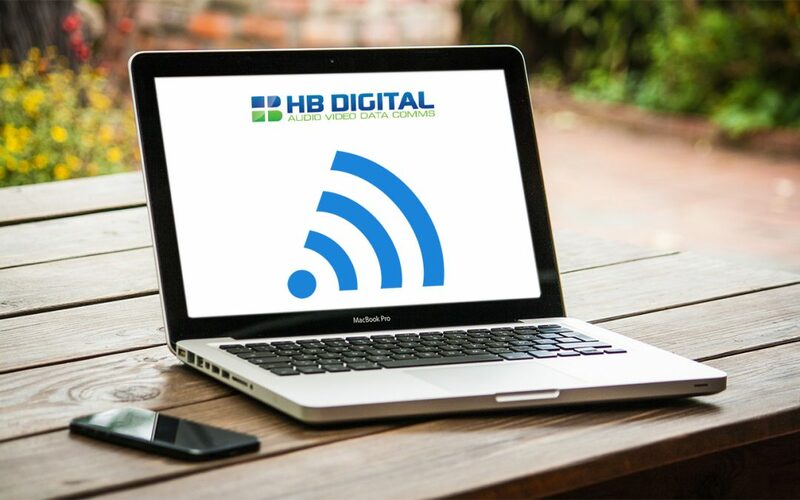 HB Digital can help you and your business install a reliable WiFi connection to ensure your customers are always happy when visiting your property. Contact us today to find out more information on what WiFi can do for you and your business.